Welcome, folks, to one of the early sleepers of 2015. 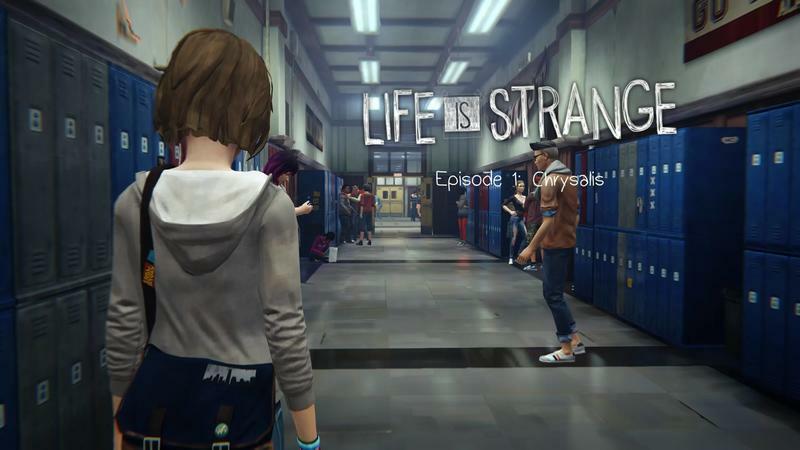 Life is Strange is an episodic game from Square Enix and Dontnod. 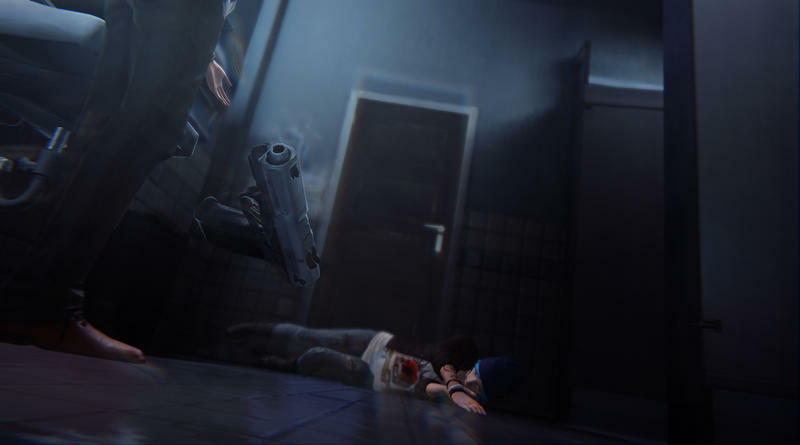 You might remember Dontnod as the developer behind Capcom's Remember Me a few years back. The studio has returned, and this effort is actually very good. It's not all pitch-perfect, mind you. 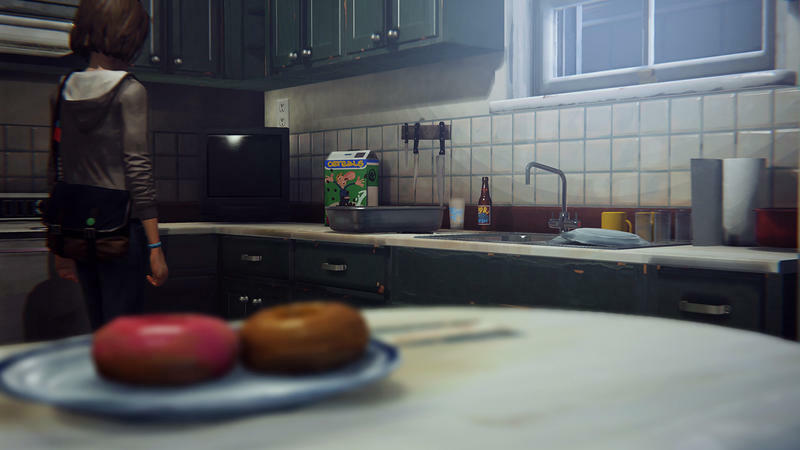 This is sort of a sci-fi teen drama with darker implications, but that doesn't stop Dontnod from using words like "hella" and "cereal" instead of hell and serious at every turn they can. "These are teenagers!," or so they seemingly yell at every turn. Ah, quickly. If you're a Spotify user, Square Enix actually built a playlist for Life is Strange's strong soundtrack. We've grabbed the embed for that, so you can listen while you read this review. You'll find the player below and to the right. The future is now! 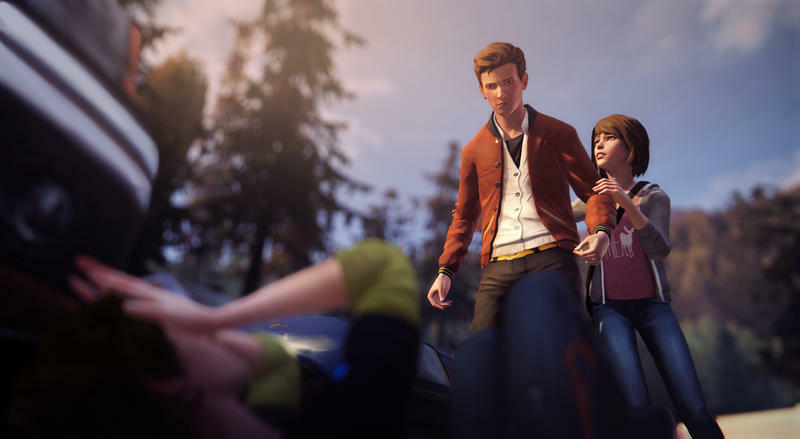 If you're wondering how Life is Strange plays, you need only think about current adventure games. The kinds with walking, dialogue initiation and relatively easy puzzle solving. You'll move about the town of Arcadia, Oregon in tight, controlled spaces while talking to fellow students or adults and piecing together puzzles. The trick here is that, as you find out in the early goings, you can control time. You can rewind the world around you in order to remake decisions, save people, solve puzzles and fix dialogue. It happens with the squeeze of a trigger on the PlayStation 4, for instance, and you can speed up your rewind or skip to the most recent event. It actually works really well in the scope of the game. 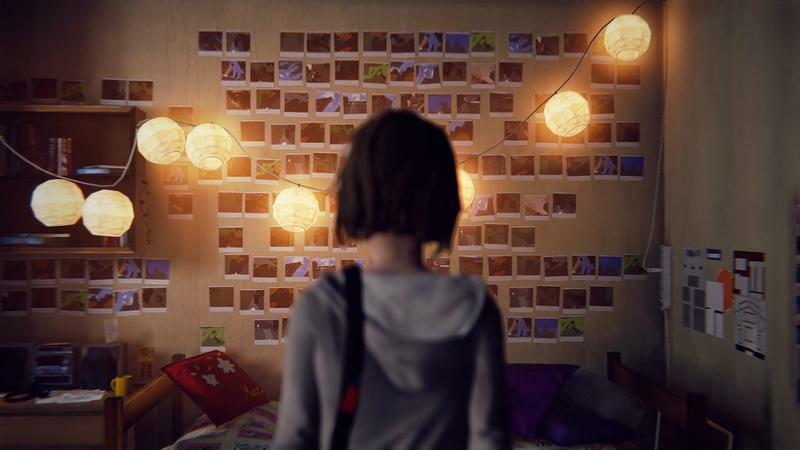 Life is Strange doesn't feel cheesy or over done at all, and the mechanic completely fits here. I'm typically tentative of developers forcing sci-fi into odd situations just to turn things into "games," but this doesn't feel gimmicky or cheesy. Your character, Max, has to come to grips with her abilities, and that becomes a real focal point as this first episode draws to a quick close. It needs to be said that Life is Good is a beautiful looking and sounding game. Hopefully you've been rolling through this review with the soundtrack playing. That shows up during both diegetic and non-diegetic moments. Then there's the actual art design of the game. Dontnod absolutely deserves a bunch of love for their decision to take this supernatual game in a painted canvas direction. It works well in the purposely framed and rendered shots you see above, but the in-game stuff looks even better. Here's one I snapped from the opening bit that's happening in-game with the title appearing for just a moment. The whole game looks like that. The fine details of closeups become sort of artsy with their brushstrokes, and the distanced stuff has this really great canvas appeal. The voice acting itself is also really, really good. Every character sounds great, even if some of their overly-teen-angsty lines absolutely sound like they were written by someone trying to crack the teen speak code. 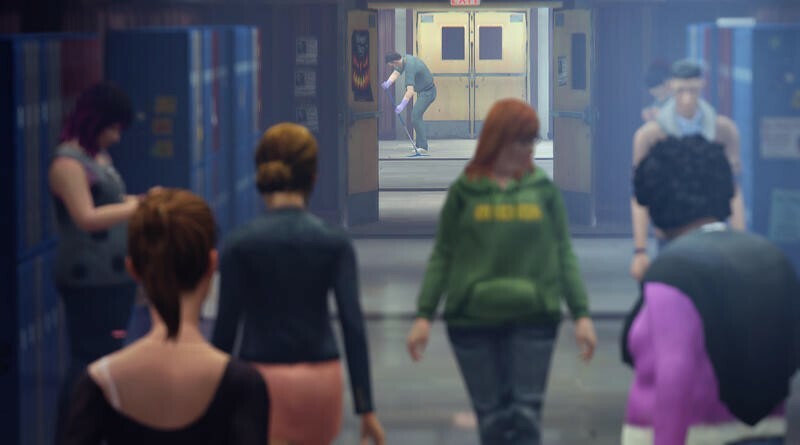 Those lines are really the only times Life is Strange falters in its brief opening episode, and that's a huge plus. I did notice a mix of good and bad lip-syncing here, though. There were times when characters barely moved their mouths while producing loud and angry dialogue. Their flailing bodies matched their emotions, but their mouths both missed lining up with dialogue and feeling. It wasn't a constant problem for me, but it did pick up when I should have otherwise been engaged. 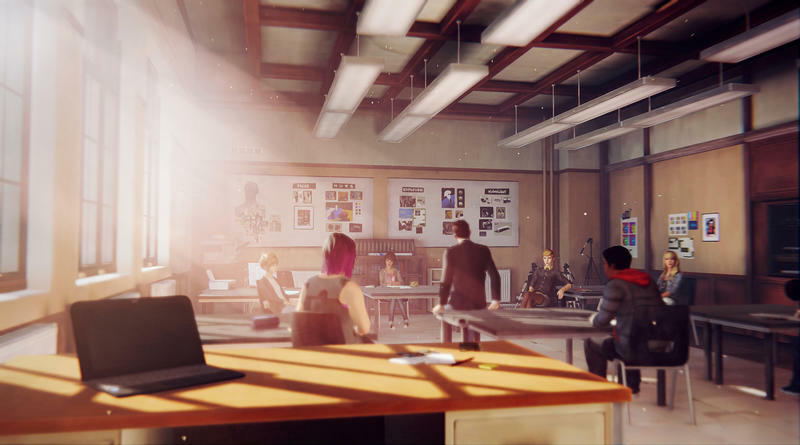 While Life is Strange's first episode so perfectly delivers on look, feeling and sound, its constant promise of choice and consequence hasn't really been realized yet. This is the first episode. If you complete the storyline in it while doing a bit of exploration and discussion, you'll likely only get three hours out of it. I'll talk more on value later, but I do think it's a fair amount. In those three hours, you won't really feel the consequences of your decisions. You're told by the game through a pop-up that your action will have a consequence, but you won't know what that is until the next episode or so. Which brings me to my chief complaint. This complaint may as well be a backhanded compliment, but I think Dontnod and Square Enix are forcing users to wait a touch too long for more episodes. The next is slated to release in March of this year. The word I've heard is six weeks from now. I won't remember every minute choice I made six weeks from now. Heck, if some of these choices don't have consequences until episodes four or five, I won't remember those at all. No chance. I appreciate the idea of episodic gaming and narrative choice, but the spacing between releases seems a bit to stretched for Life is Strange. I want more of it now, and that certainly is a piece of high praise, but I'm just worried how time will affect this tale. A fantastic first step on a journey I didn't see coming. 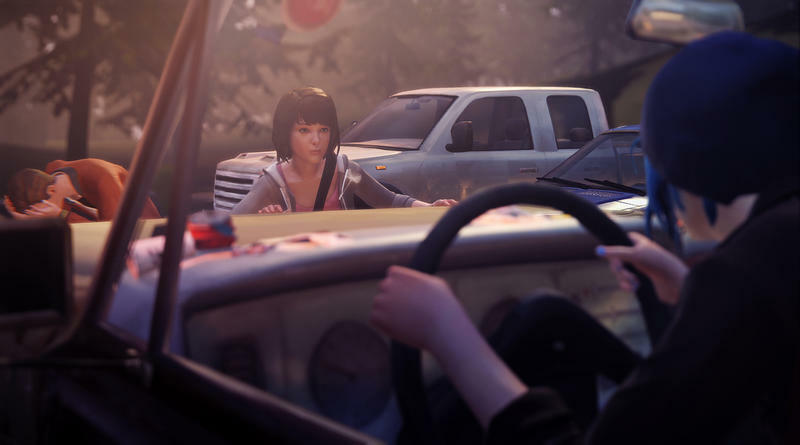 Life is Strange should be a good ride. Yes, I'm worried about the release pacing, but that's mostly because I really, really don't want the initial character work to be lost in waiting for the next entry. Dontnod deserves a lot of recognition for their choices in character development, presentation, setting and time rewinding mechanics. 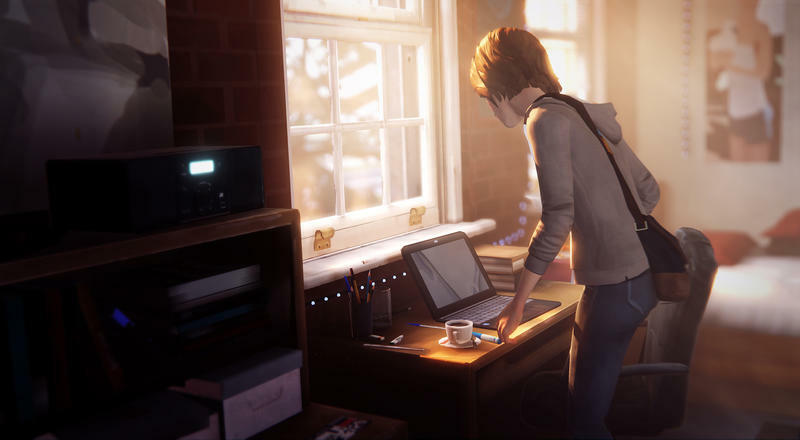 As the first step in a story, episode one of Life is Strange feels really good. I want more. Each of the five episodes will sell for $4.99 separately. The five episode series can be bought all at once for $19.99. If every episode plays this way, we're looking at a roughly 15 hour game for 20 bucks. That's not bad. Hopefully all the waiting pays off. For now, if you're down with interesting adventure games packed with style and promise, Life is Strange is really cool so far. It's out now on the PC, PlayStation 4, PlayStation 3, Xbox One and Xbox 360 platforms. Disclaimer: We received a code to download and review Life is Strange on the PlayStation 4 from the publisher. We completed this first entry before starting our review.